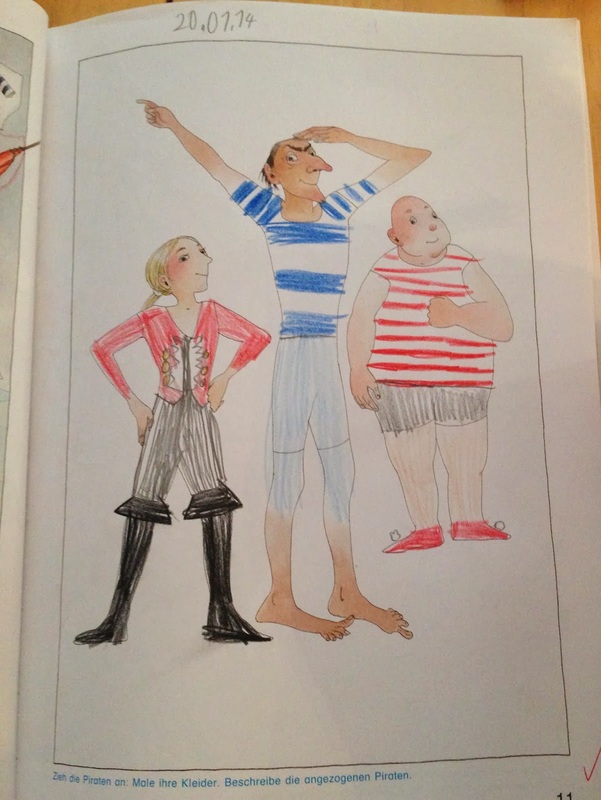 German Schoolwork (2nd Grade): Pirates! 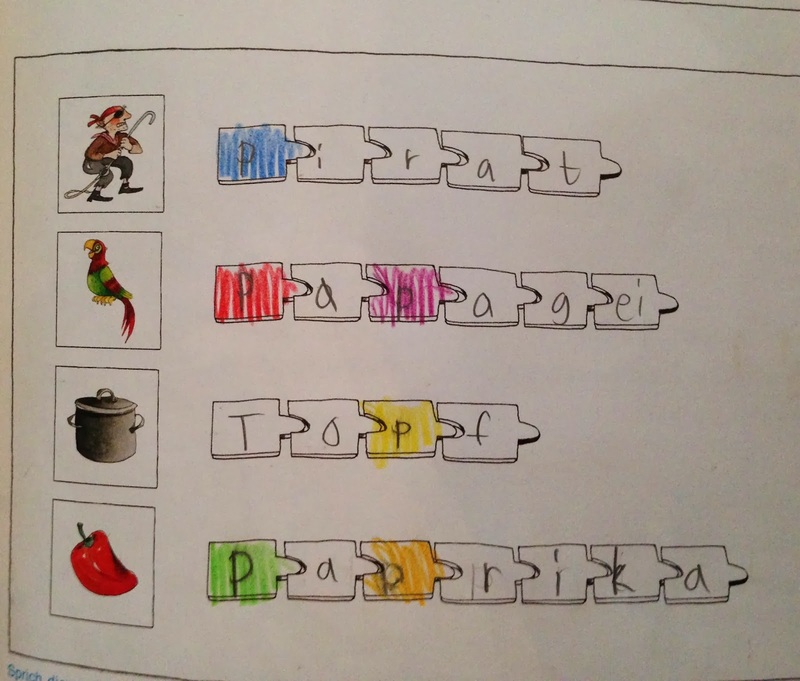 8th workbook in the Mila series she began in 1st grade. In the video below, she explains some of her work and recites a short poem (apologies for the awkward camera angle). 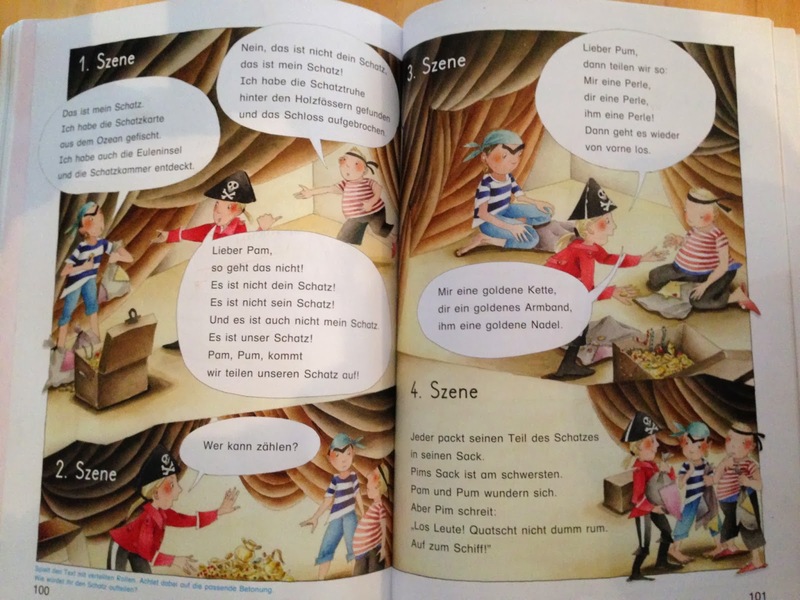 And below is a song in Luxembourgish about (sung by) some "mean pirates" (not Pim, Pam, and Pum). I asked her what the pirates are doing in the song. She said, "Well, just what mean pirates normally do." You might have some fun trying to decipher the Luxembourgish to figure out what that is. It's quite a long song, but I think it's worth sticking it out until the end if you can!